"25 Songs Transcribed from the Original Recordings" (Piano/Vocal/Guitar) Rich with piano, Hammond organ, glockenspiel, and more, Springsteen's early albums contain some of the most memorable keyboard tracks in rock 'n' roll history. Now, for the first time, keyboard parts for 25 songs from his legendary 1973-1980 era have been notated with unprecedented accuracy. Note-for-note keyboard transcriptions are woven into arrangements that make each song playable on piano from start to finish. Complete vocal melodies and lyrics are included, along with chord grids for guitar. 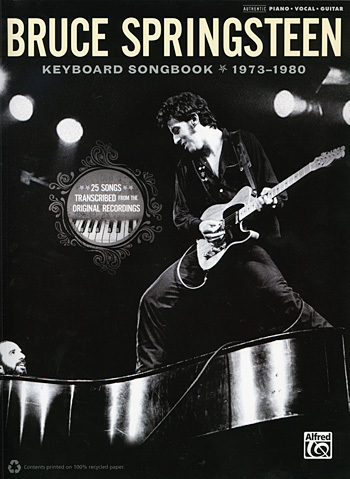 The 25 selections in this volume were chosen for both their playability on piano and their popularity among songs Springsteen recorded during his '70s era, including three songs from The Promise!